As we are all sensory beings, we constantly receive sensory stimuli from our environment. Upon receipt of such stimuli, we react and/or act in accordance to what is deemed an appropriate response to that specific stimulus. Effective sensory integration allows us to do so. It also allows us to learn. However, when we do not modulate or process sensation appropriately, as with children with sensory processing issues, it can result in self-regulation difficulties and developmental issues relating to learning, attention and behaviour. Dr. Jean Ayres, who developed sensory integration theory, defined sensory integration as “the neurological process that organizes sensation from one’s own body and from the environment making it possible to use the body effectively within the environment.” Therefore, effective sensory integration allows each of us, as individuals, to function within the environment we exist in. Manifest behaviourally as disinterested/unavailable or become overwhelmed/distressed. KIDZ Tools – Self Regulation Program is a program that is developed to assist parents and teachers in understanding how to support children with sensory processing issues across all environments. Through methodically exploring the individual’s sensory based behaviours, affinity for or aversion to sensory input, and fluctuating arousal levels, specific insights on that individual’s personal sensory profile is gained. Thereafter, a specific sensory diet will then be developed to assist with sensory processing and modulation issues to enable the individual to have success across all settings. The theoretical and clinical basis of the Self Regulation Program is very comprehensive. Compiling the wide knowledge base from the expertise of various well regarded therapists around the world, this program was developed to provide a complete and in-depth look into an individual’s sensory processing needs. Although effective in its intervention insights, more important is the process of equipping both child and all facilitators (parents, therapists and teachers) on the process of understanding and supporting one’s sensory processing needs across all environments and throughout one’s lifespan. Who would benefit from the Self Regulation Program? Formulate a specific sensory diet to match the child's sensory profile to enable them to function better in all environments. 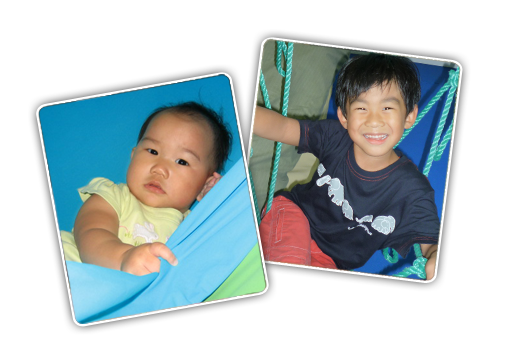 Understand their child’s sensory modulation deficits and personal sensory profile. Design sensory strategies/activities, environmental and cognitive strategies that will enable the child to be able to stay regulated across all environments.